The Grateful Dead was a rock band that formed in Palo Alto, California, United States in the 1965. They are known for their concerts, and devoted followers called "Deadheads". The band and their music are sometimes associated with the hippie and drug cultures. Their music style is psychedelic rock combined with other kinds of music like blues, country, folk, and bluegrass. They are also known for their artwork and logos, which include skeletons and dancing bears. They were named number 57 on Rolling Stone's 100 Greatest Artists of All Time and added to the Rock and Roll Hall of Fame in 1994. Their albums have sold 35 million copies around the world and they have played for 25 million people, more than any other band. 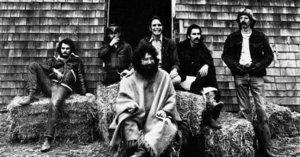 The group were together from 1965 to 1995, when Jerry Garcia, the group's lead guitarist and singer, who was seen by many people as the group's leader, died. The other members were Bob Weir (guitar and singing), Phil Lesh (bass guitar), Ron "Pigpen" McKernan (keyboards, harmonica, and singing) and Bill Kreutzmann (drums). All of these members were in the group the entire time, they were together, except for McKernan who died in 1973. Other main members of the band were Mickey Hart (drums 1967 to 1971 and 1974 to 1995), Keith Godchaux (keyboards 1971 to 1979), his wife Donna Godchaux (singing 1972 to 1979), Brent Mydland (keyboards 1979 to 1990), and Vince Welnick (keyboards 1990 to 1995). The group was known for their stage shows, which included improvising or "jamming" with their song and instruments, some Deadheads have recorded and collected many of these shows on tape. This page was last changed on 18 February 2018, at 01:11.